While flowers, chocolates and cushions are all great gifts, this year maybe think about giving her something a little more...spirited. We’ve rounded up six tasting sets perfect for Mother’s Day, filled with everything from gins and whiskies to rums and brandies. Try a selection of award-winning spirits from Ableforth’s in this tasting set. From the fresh Bathtub Gin to the spicy and decadent Rumbullion!, mum will be in for a treat with these five expressions. While mum might wish her Mother’s Day gift was round-the-world ticket, this set is almost as good. Containing five gins from across the globe, she can try expressions from America, France, Sweden and more. If your mum’s a bit of a Scotch whisky fan then she’ll love this set, showcasing everything from peaty Islay expressions to sherried Speyside drams. 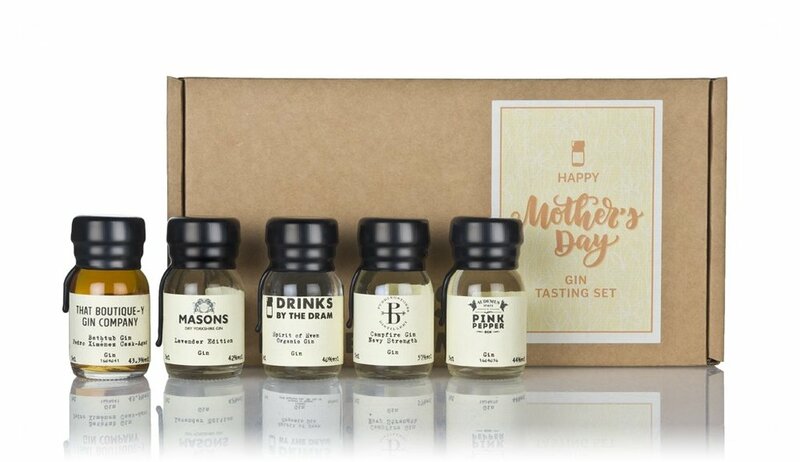 Treat your mum to something a little different with this tasting set. With exciting flavours like chocolate orange and spit-roasted pineapple, this is the gift for the adventure-loving gin fan. Give mum a taste of France that’s a bit more exciting than a croissant, with this brilliant brandy selection. Not only are these five expressions deliciously aged, there’s also some pretty rare and interesting drams in this tasting set.